One of the qualities that I admire most about the University of Fashion’s founder Francesca is her dedication to preserving the art and craft of fashion design. Especially in a culture where we experience fashion instantaneously though social media and virtually streamed fashion shows, the craftspeople and their trades that make these shows possible can get lost in the glam setting of the Chanel show or the model of the moment who walks for Dior. So often what we see in a runway show is inexpensively replicated for the racks at Zara or online at Nasty Gal within a matter of weeks. As we grab for the look of the moment, the artisans who painstakingly created the original pleating, embroidery or beading seem to be left in the fashion dust. However, recently there has been a shift. Not only is the Maker’s Movement and the concept of Slow Fashion gaining ground, but large influential fashion houses are making efforts to preserve the craftsmanship that makes garments works of art. As shoemakers, pleaters and embroiders begin to age, the need to train young craftspeople is becoming more and more immediate. Business of Fashion recently featured Chanel’s efforts to make sure the art and craft of fashion is not left behind. If you are reading this blog post, we assume that you, too, care about preserving the art and craft of fashion design. We believe it is our job to prepare you for many aspects of the fashion world, including the type of couture methods that French maisons are currently teaching. We are proud to offer you our newest video Tambour Embroidery. 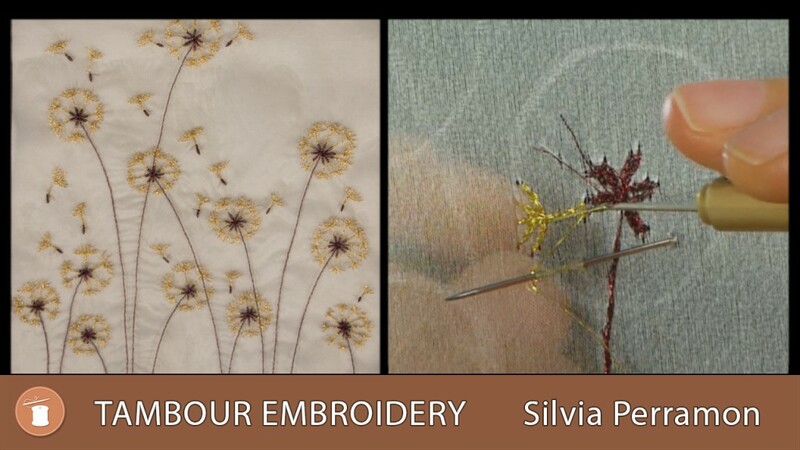 Once you have tried your hand at embroidery, be on the lookout for our upcoming couture beading video. Here’s to preserving the techniques that make fashion truly unique – enjoy!